This groundwater monitoring app can be used in two different ways, either as an independent monitoring tool or as part of the GGMN. Both are described below so that you can assess which approach suits your requirements. If you would just like to store groundwater monitoring data on your own phone, you can use this app without registering to the GGMN. You can create new groundwater monitoring stations and periodically add new readings, but the data will be stored only in your phone (no possibility to share them with other users). In addition, you will have access to all public data from other monitoring stations in GGMN. And, most importantly, you will be supporting the global groundwater community! Login with your GGMN login credentials (if not yet registered, contact: info@un-igrac.org). If you don’t want to register, go to the next step. Start adding new groundwater monitoring stations and groundwater level measurements! 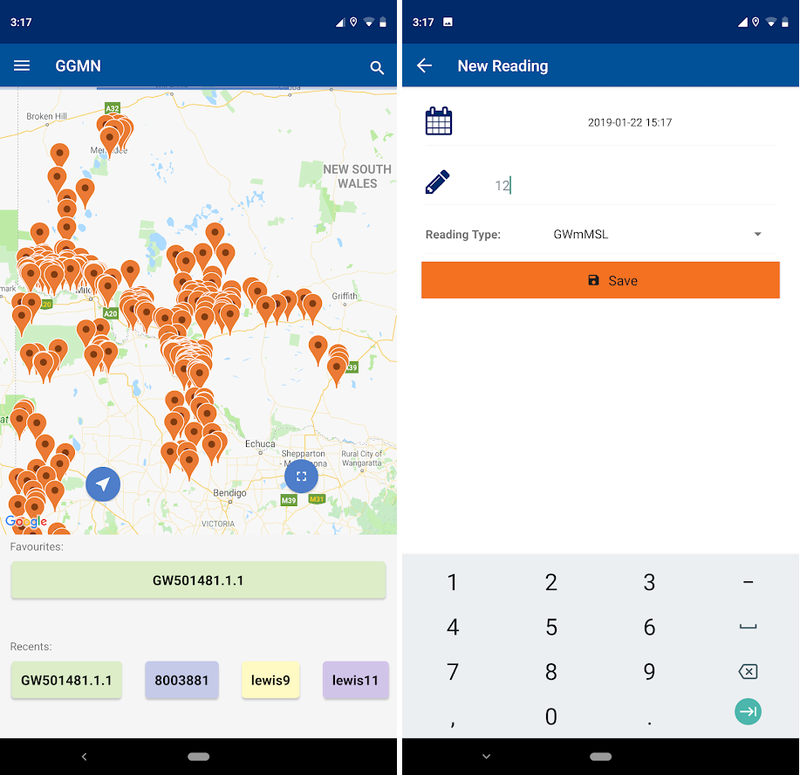 The GGMN App is powered by MyWell, which is a smartphone and SMS app developed in the framework of the MARVI (Managed Aquifer Recharge and Sustaining Groundwater Use through Village-level Intervention) project funded by the Australian Centre for International Agricultural Research (ACIAR). In the MARVI, MyWell assists ‘groundwater informed’ volunteers, or Bhujal Jankaars (BJs) in the monitoring of groundwater levels, rainfall, checkdam water level and water quality in rural communities in India. More information about MyWell and MARVI in: http://www.marvi.org.in/home.